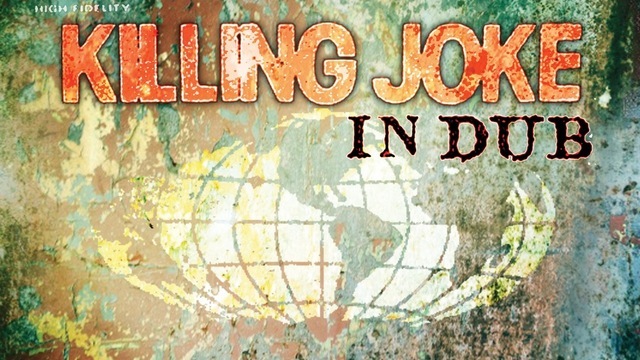 So, after months of speculation, a track-listing and release date for Killing Joke “In Dub” has finally been announced. As the name suggests, “In Dub” is a compilation of new and existing dub remixes of Killing Joke tracks. Update: In Dub is now available for download, with a different tracklisting to below. It is being funded via Pledge Music, and is due for release on 3rd February 2014, although with Killing Joke’s shocking history of delivery with Pledge Music, I would’t arrange the party just yet. Preorder Killing Joke: In Dub on digi, CD or Vinyl plus signed, exclusive and limited edition items from Youth. Killing Joke: In Dub is available as digital download, 3CD set and as a special 3LP/1CD set, which includes a bonus 40min DJ Set featuring tracks from the album. Alongside these album formats, there are some exclusive merch items and bundles to be had. The album will be released digitally to all pledgers around 2 weeks after launch and all physical items will be shipped out asap thereafter. Rapture (Detroit Industrial Sledgehammer Remix). via KJ in DUB Track Listing KILLING JOKE IN DUB… – Killing Joke: Official.